The photo was created by nature. 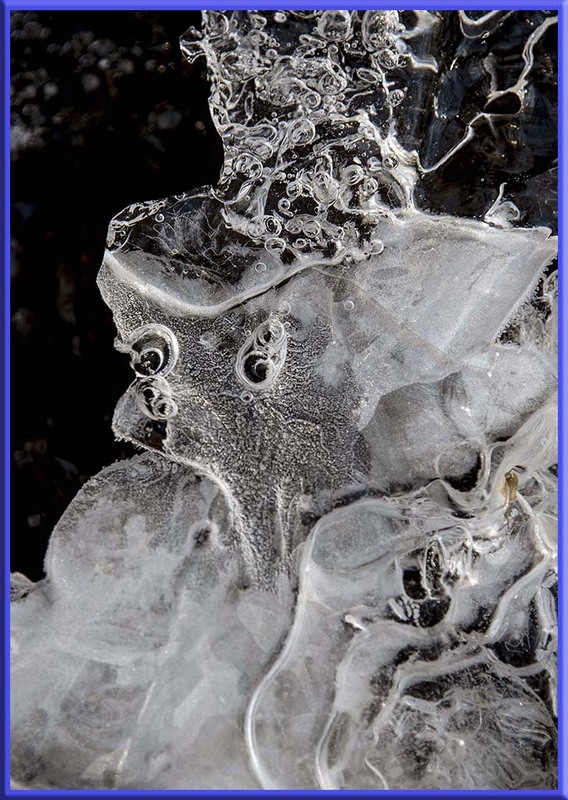 As ice freezes in a stream the water creates intersting patterns. Some say it is just a coincidence that a face was formed. However, I say it was created by the faires that live in the woods. It could of very well been a Dryad Fairy. A Dryad is a tree nymph or tree sprit in Greek mythology. It may be a self portrait. It is all a matter of what you believe.